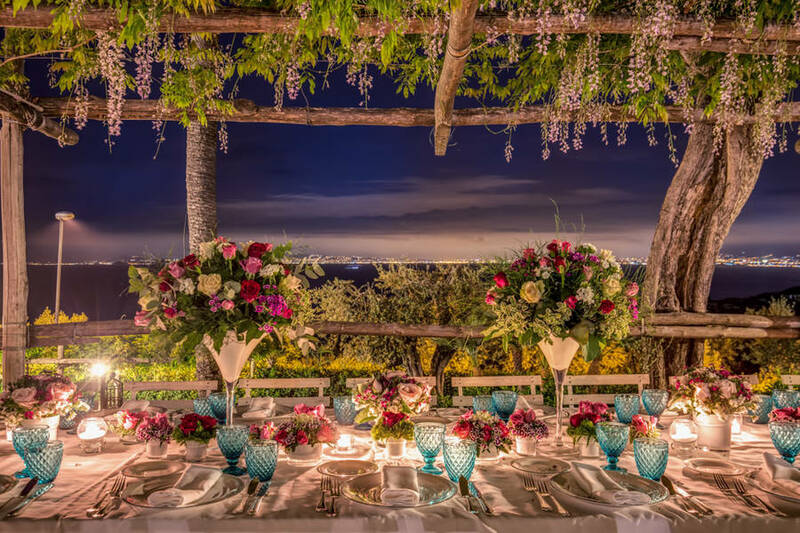 Contact us for a custom estimate or to request fewer nights. 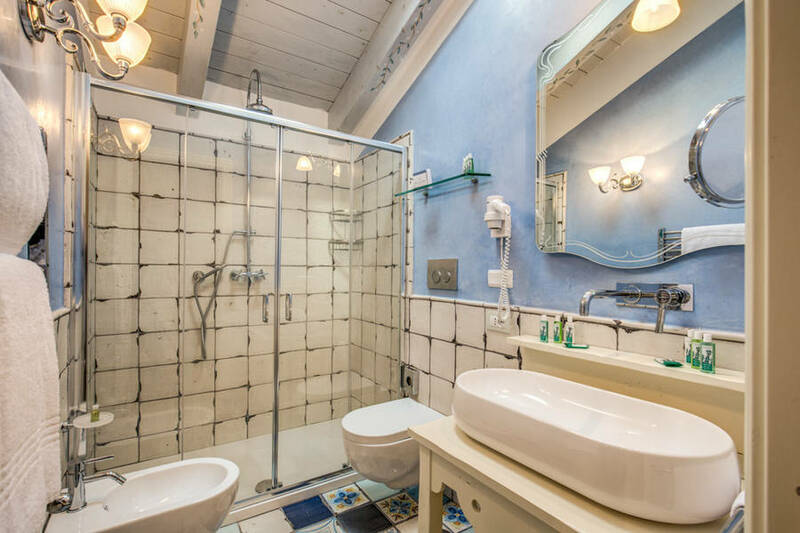 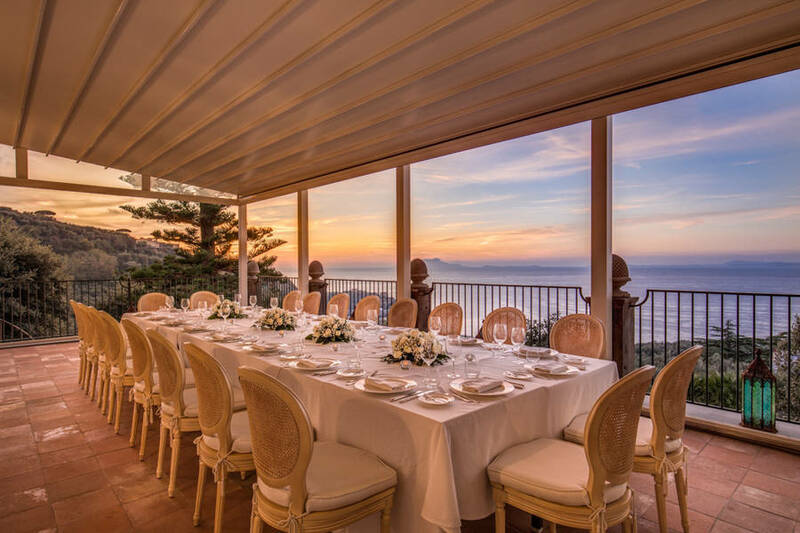 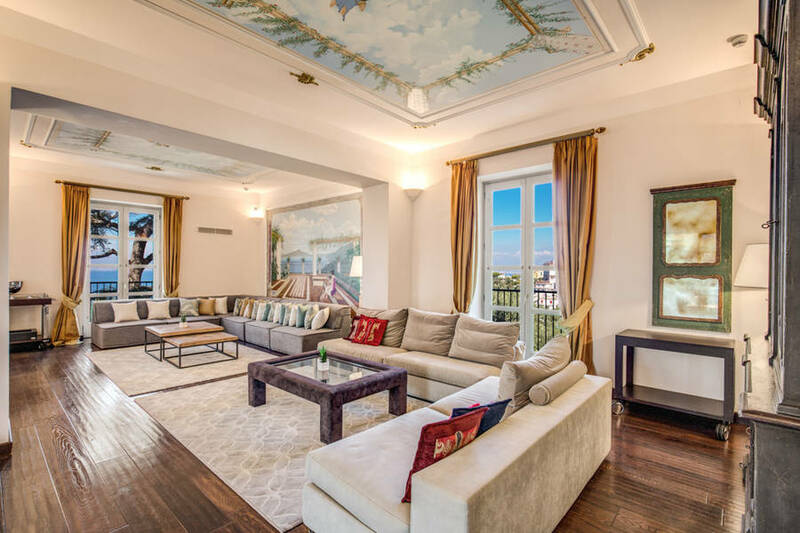 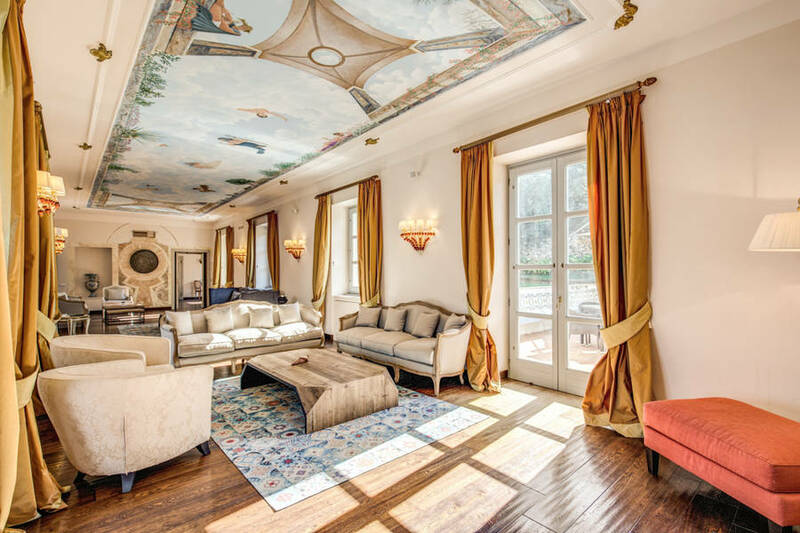 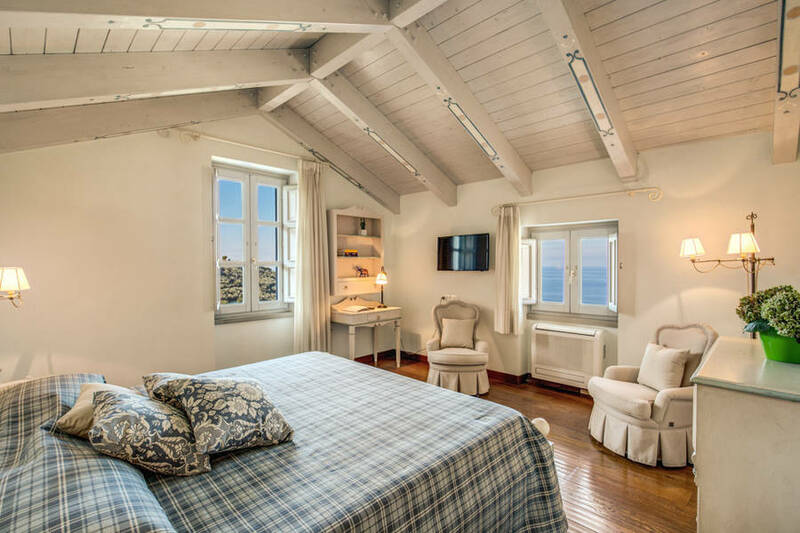 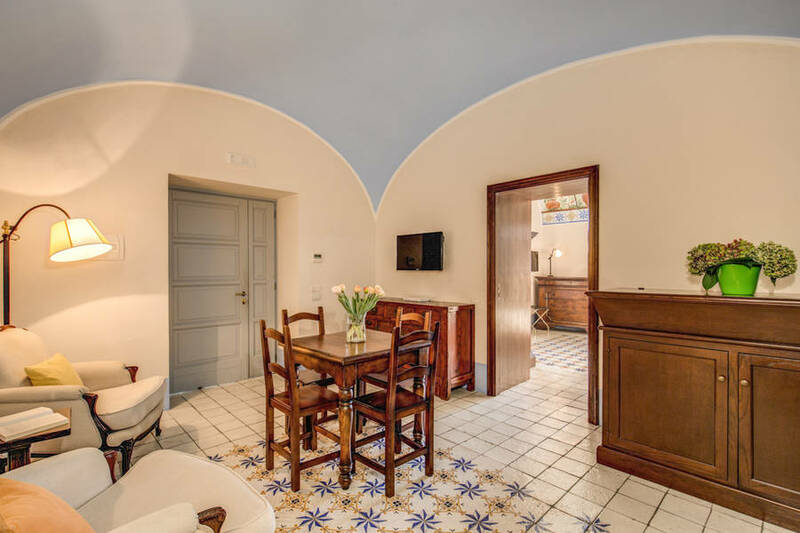 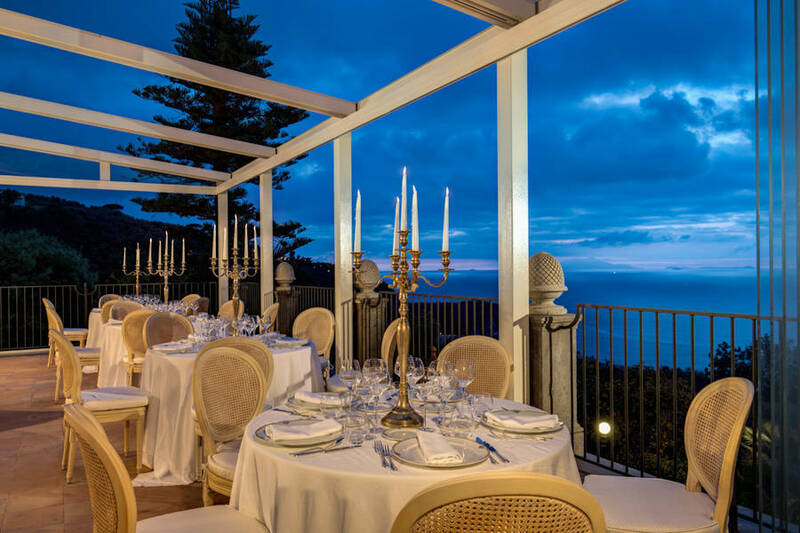 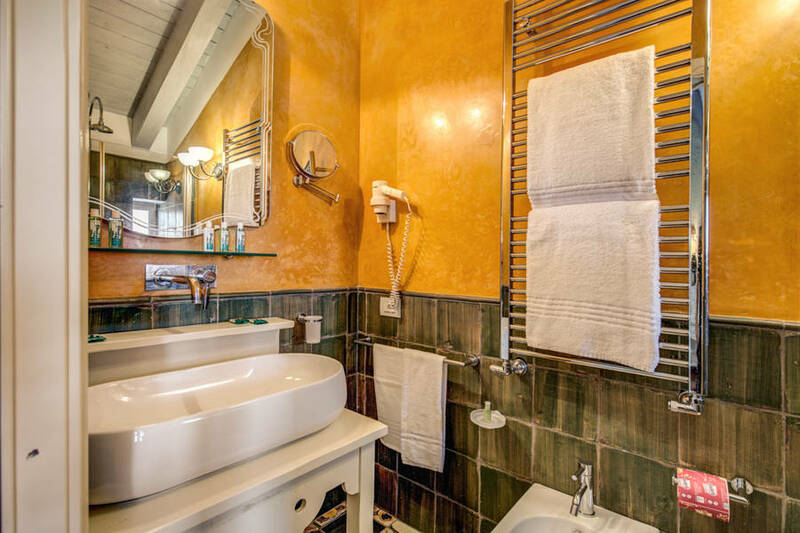 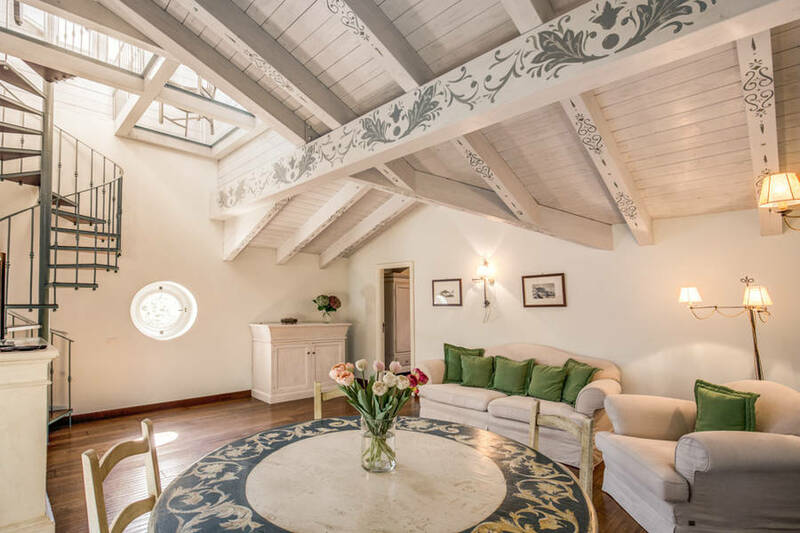 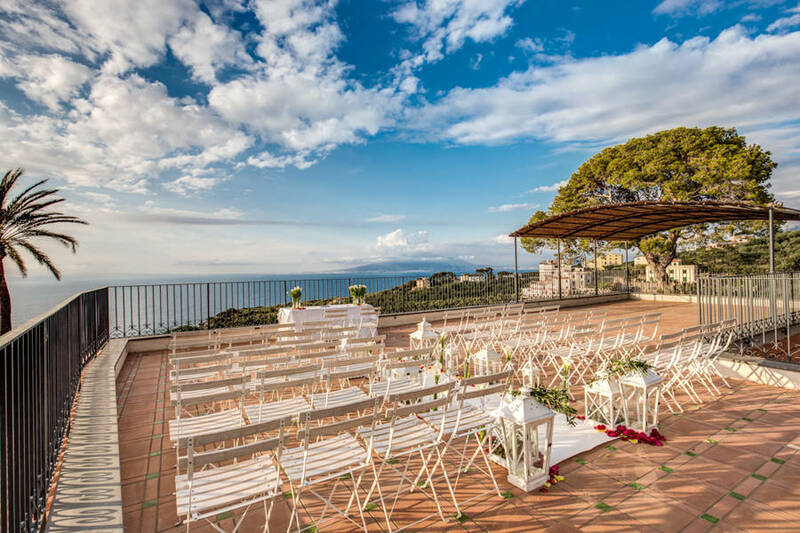 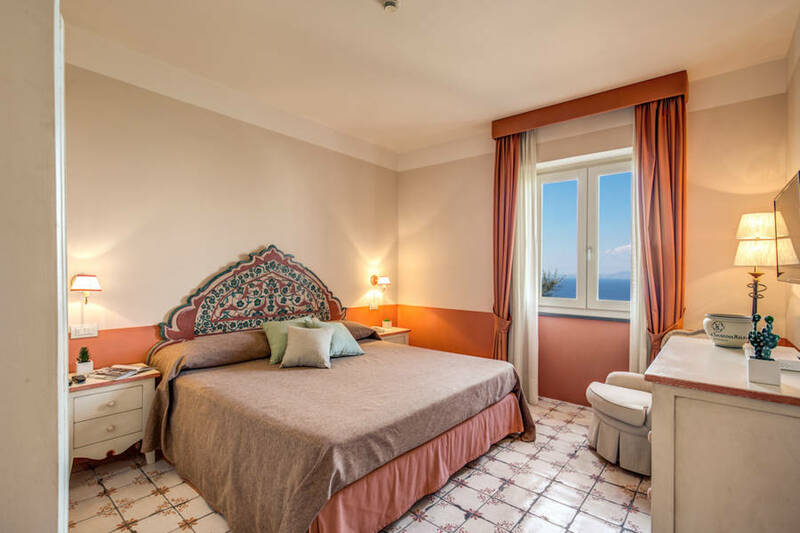 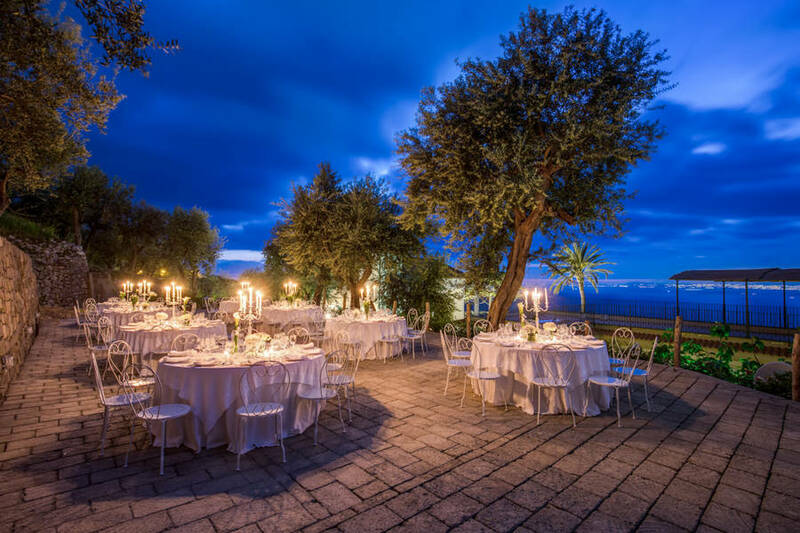 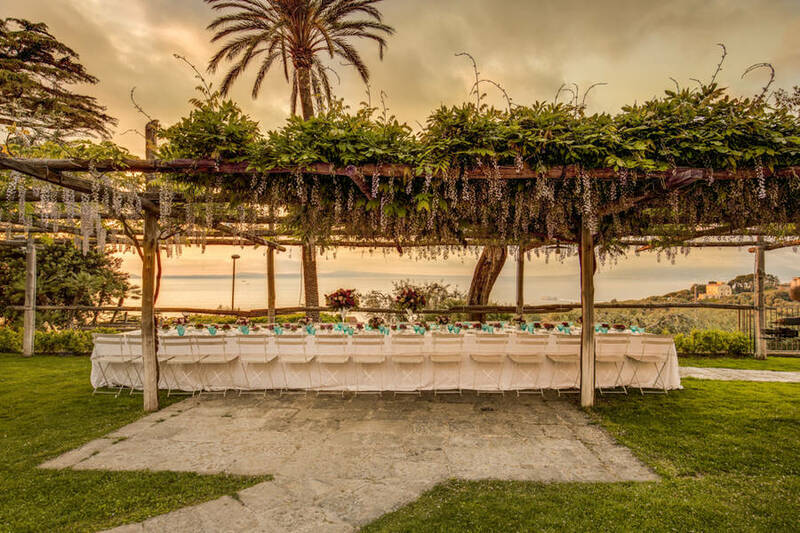 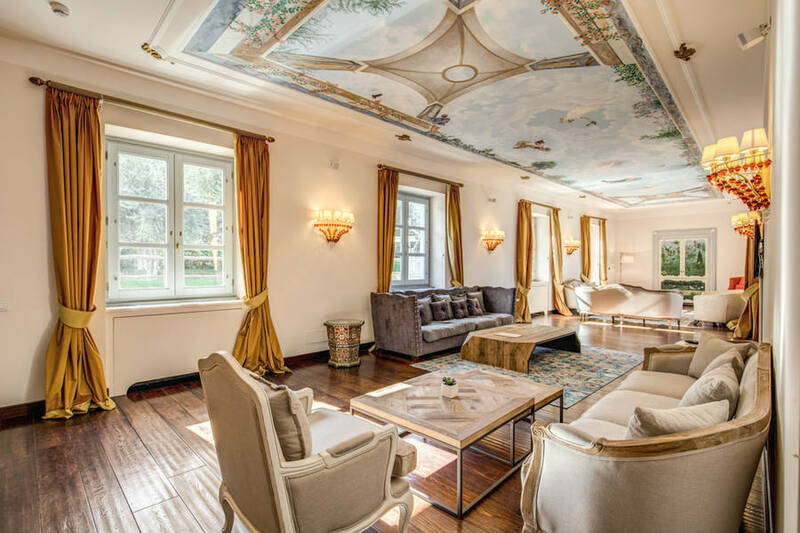 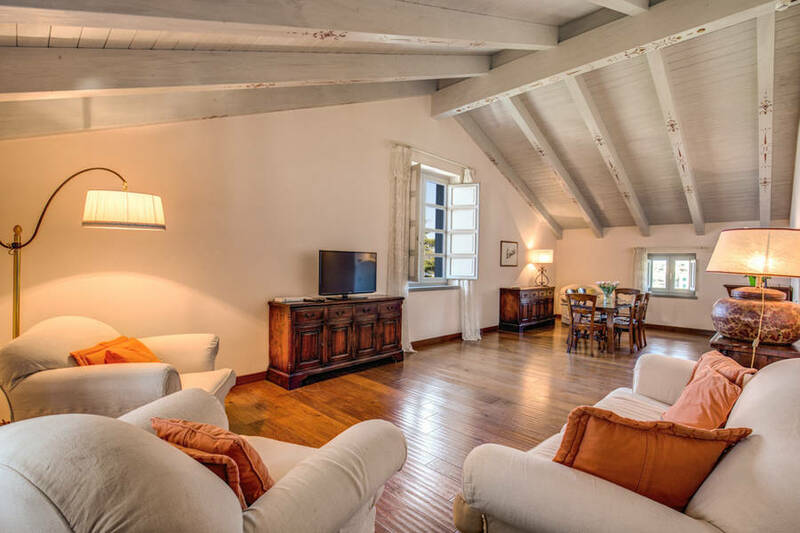 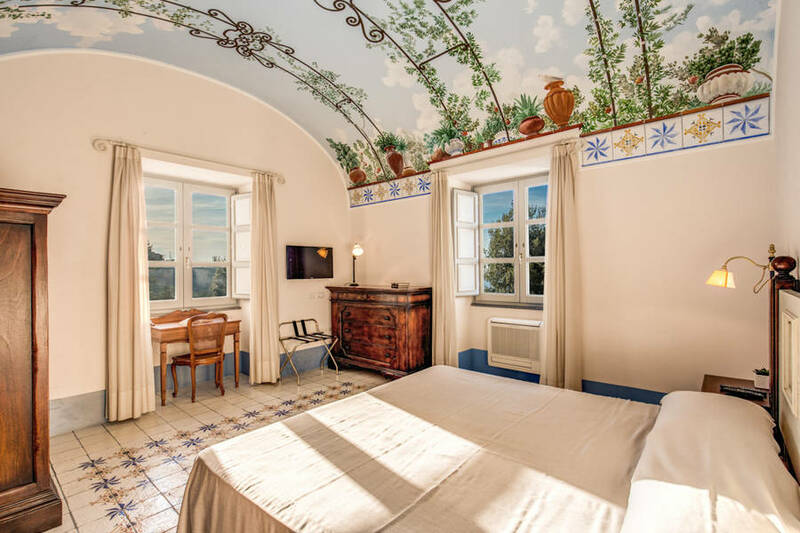 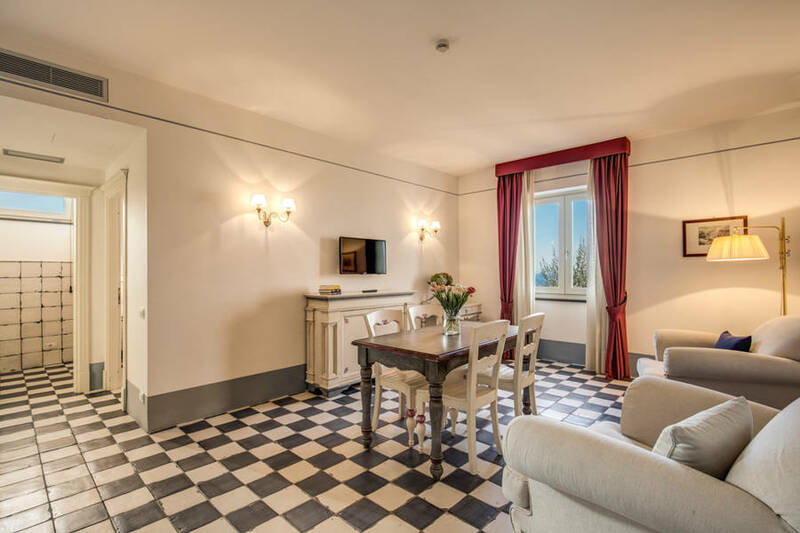 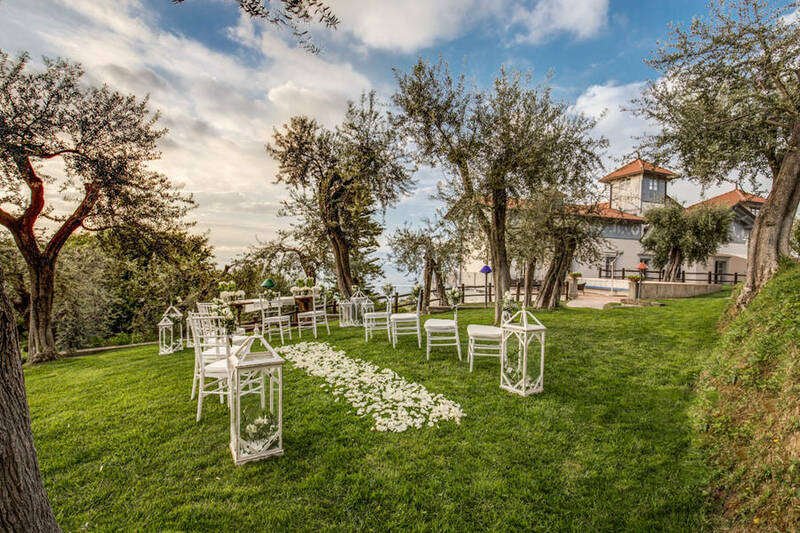 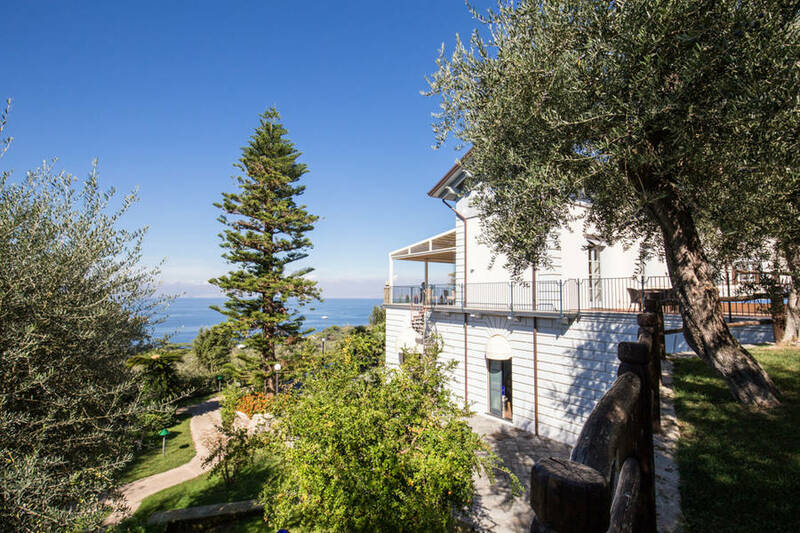 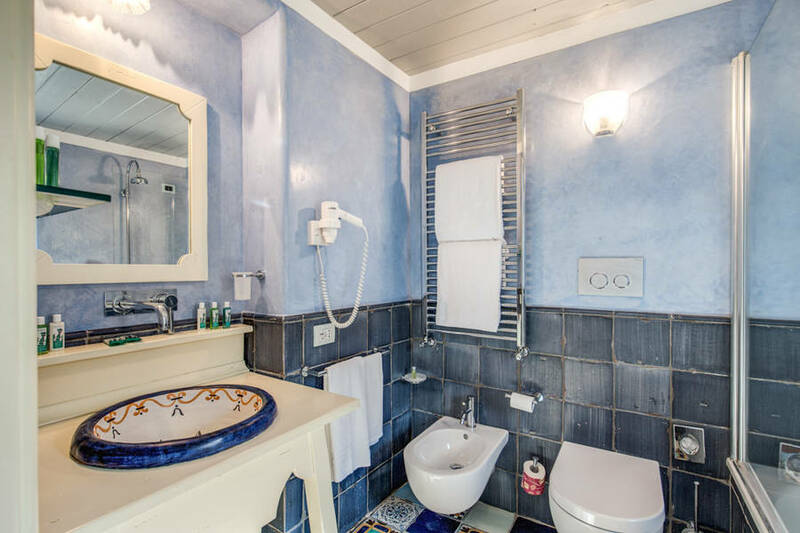 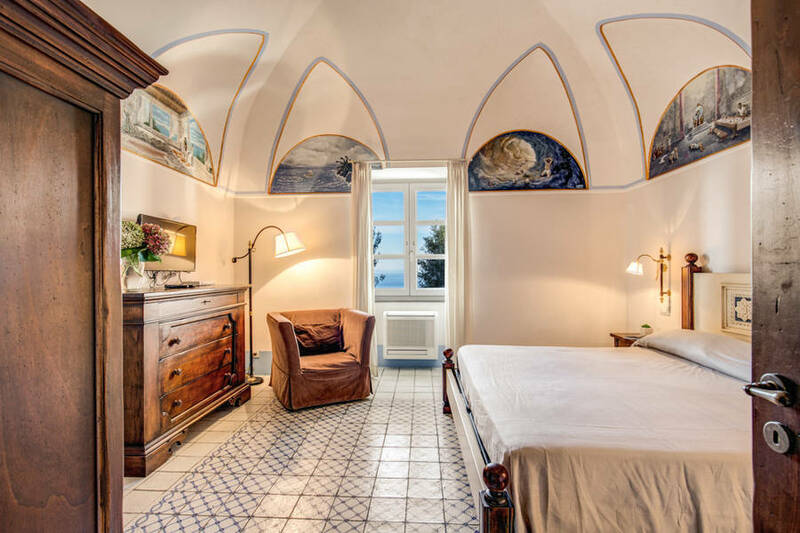 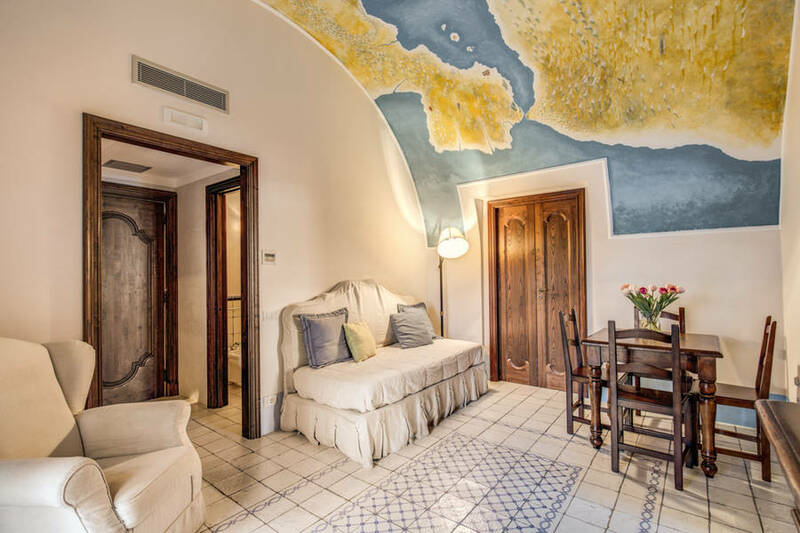 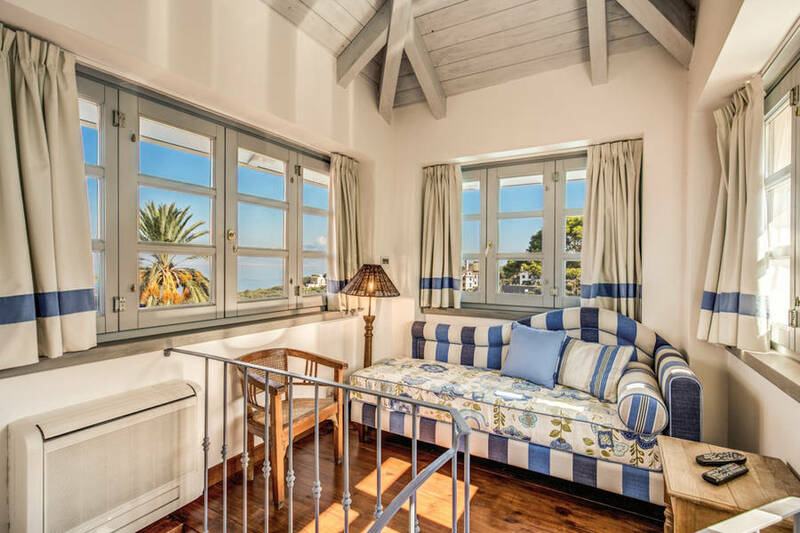 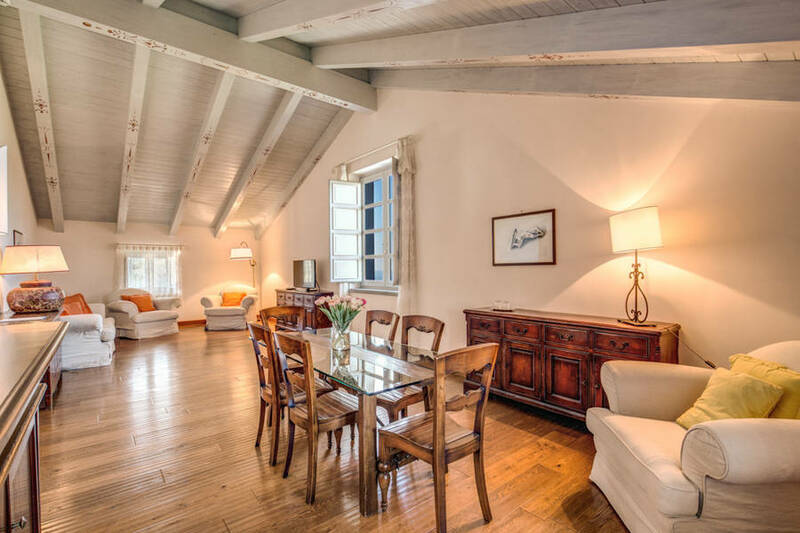 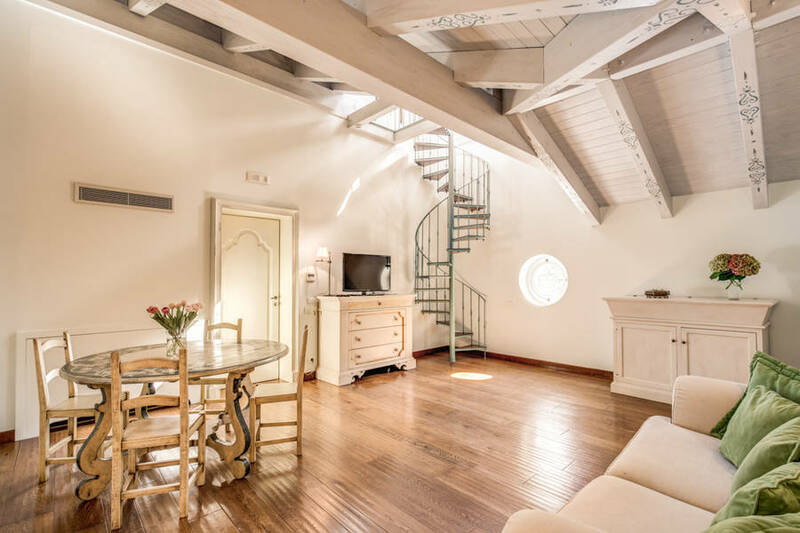 An elegant 19th century residence overlooking the Bay of Naples, Mount Vesuvius and the islands of Ischia and Procida, Villa Sabrina Relais is one of the most panoramic properties on the whole of the Sorrentine peninsula. 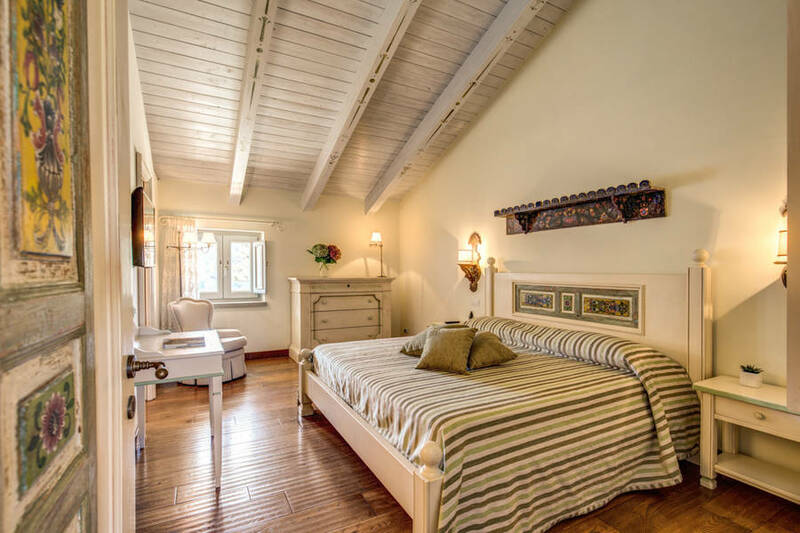 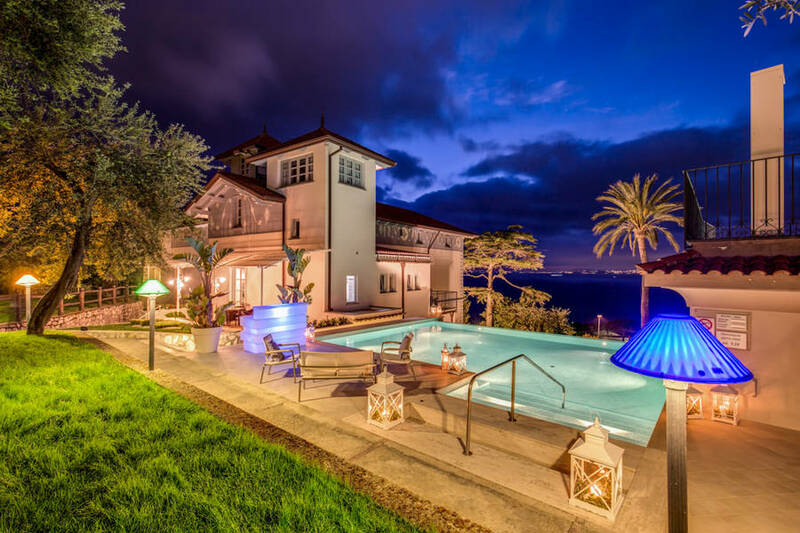 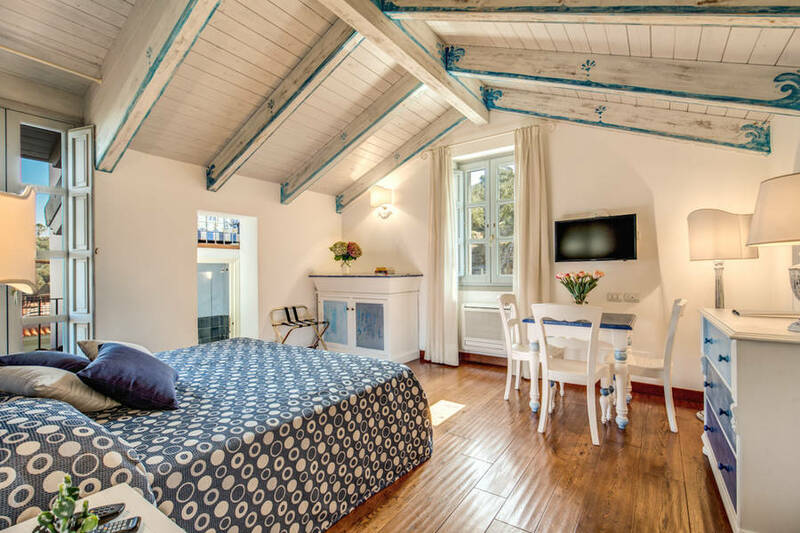 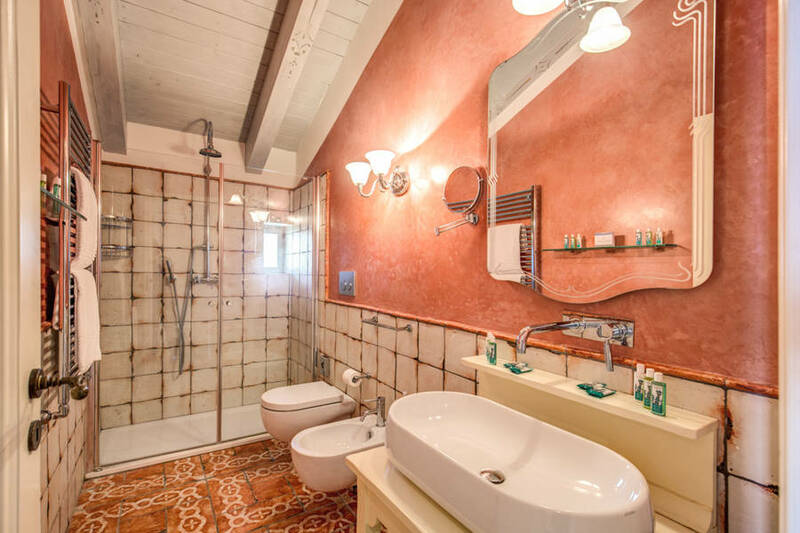 Villa Sabrina can only be booked in its entirety for exclusive use for long or short stays. 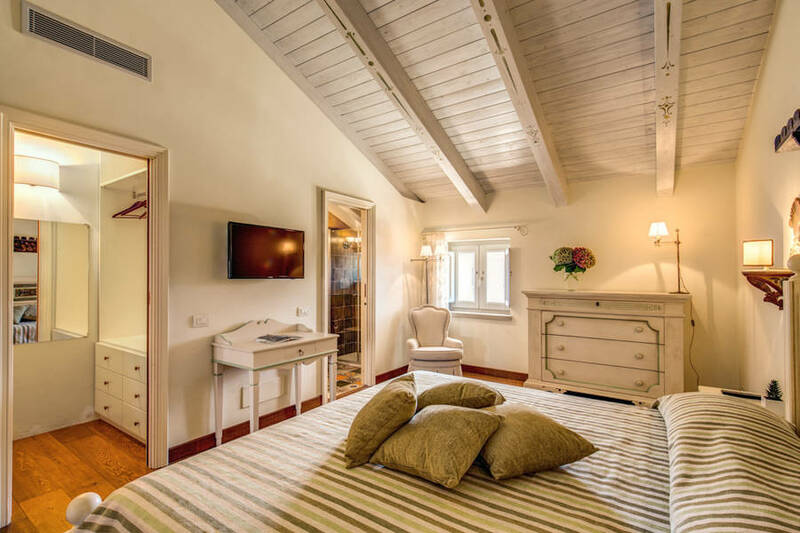 The 9 guest suites can sleep up to 28 people. 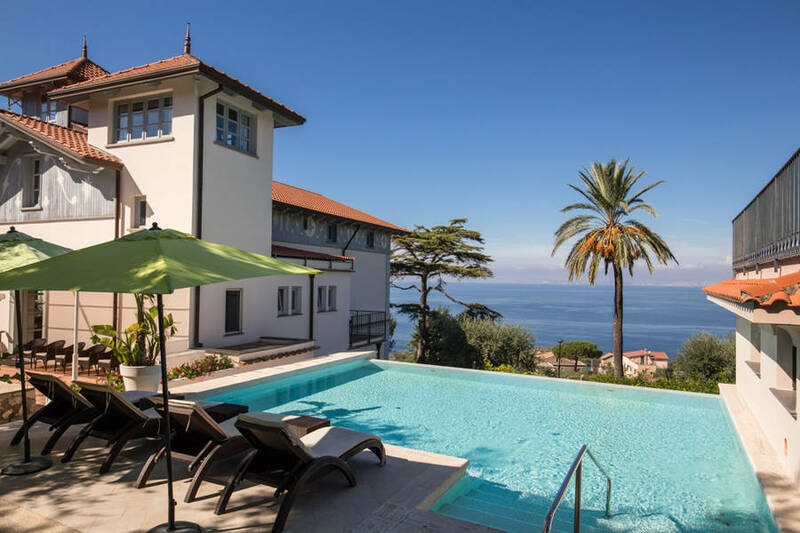 Set in the sunny sea-view gardens, Villa Sabrina's pool with massage jets is the perfect place to indulge in a little aquatic pampering. 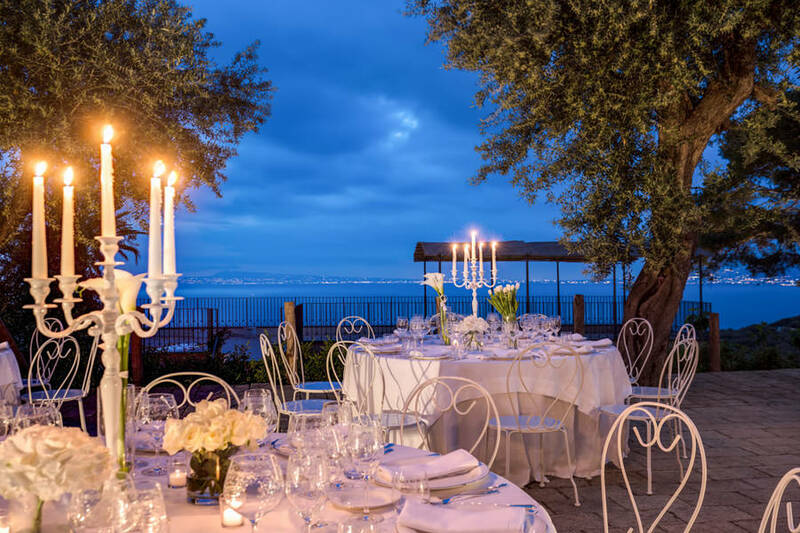 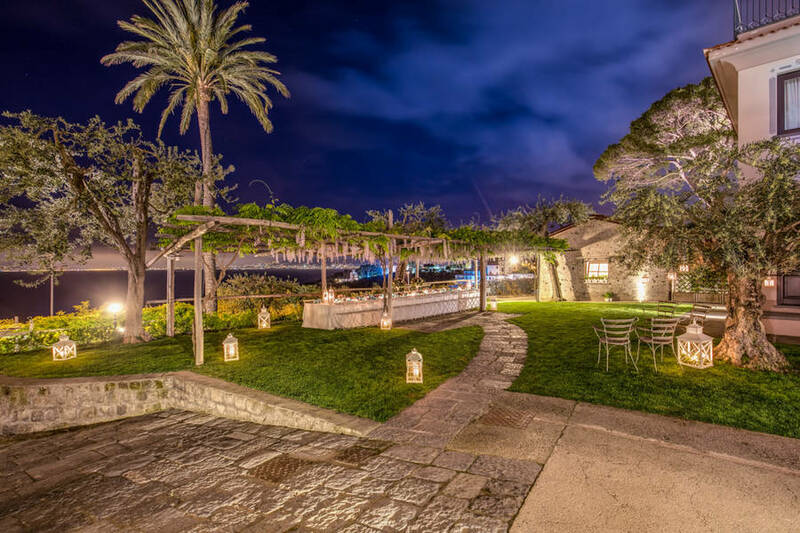 Guests love the villa's panoramic terrace, where a candlelit dinner can be served overlooking the bay prepared by a private chef upon request. 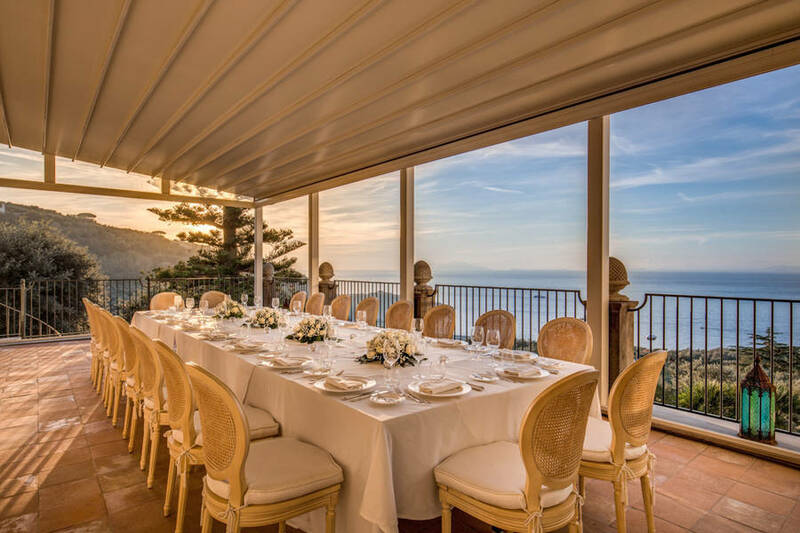 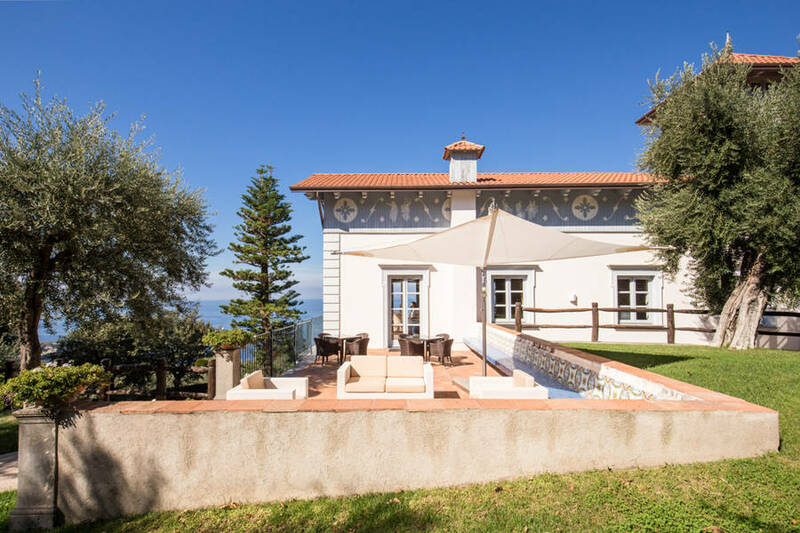 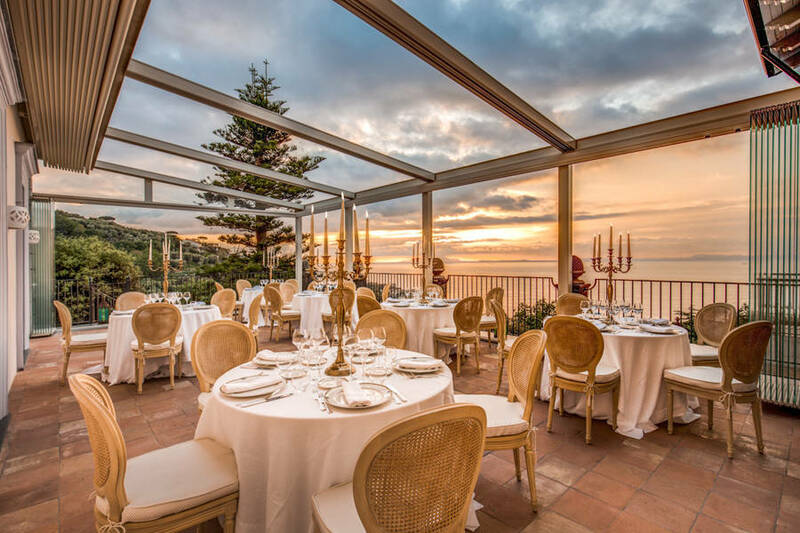 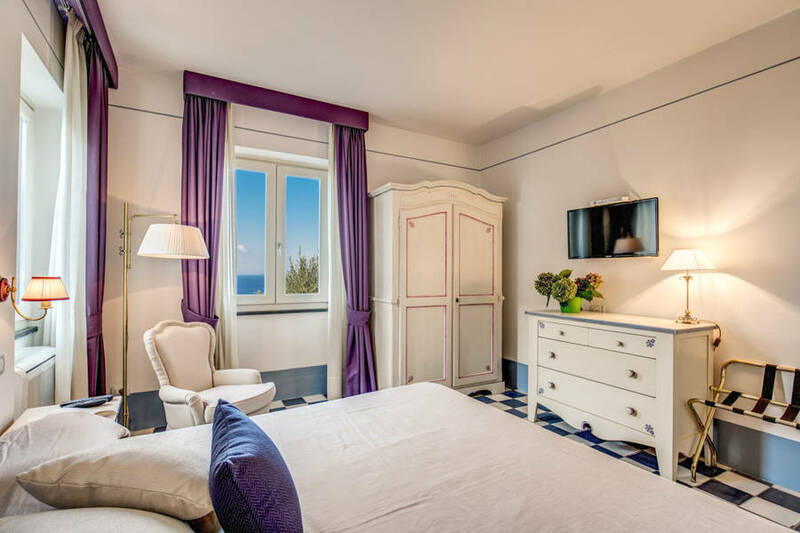 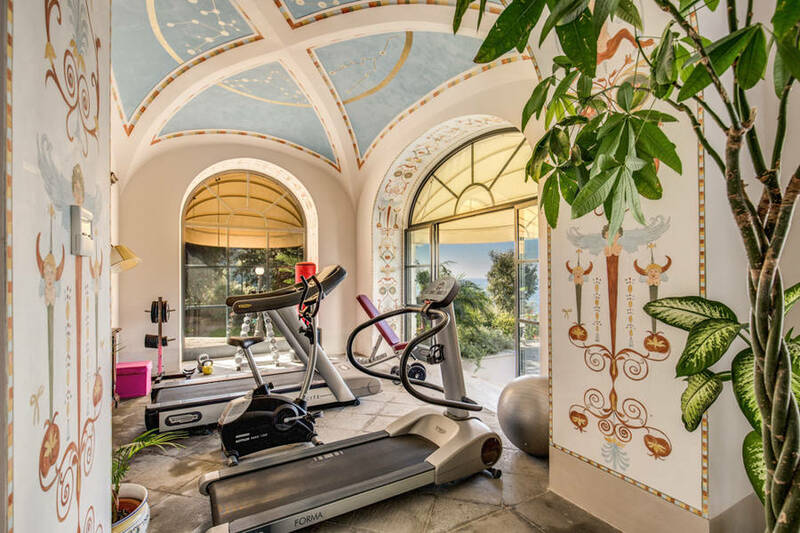 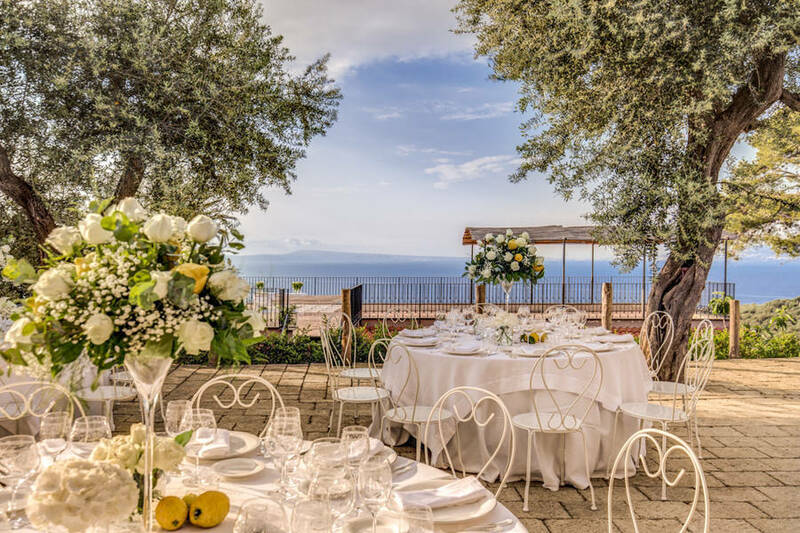 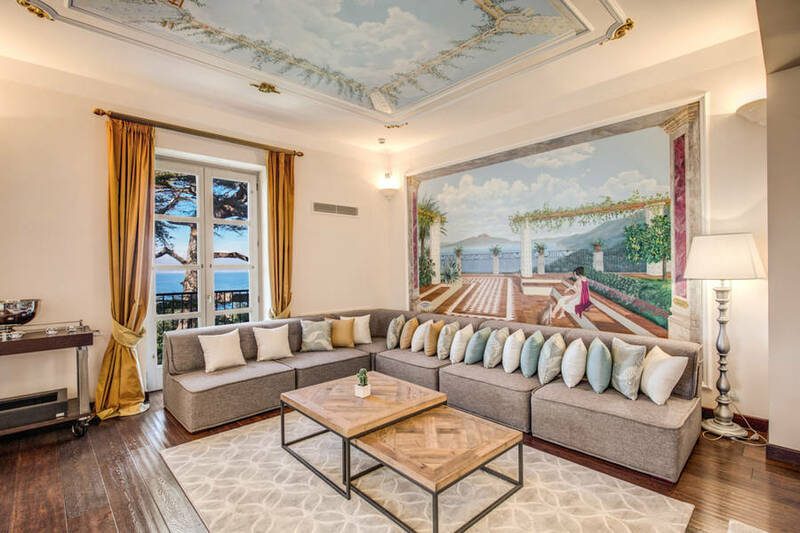 The perfect base for a luxurious location on Italy's sun-soaked Sorrentine peninsula, Villa Sabrina Relais lies a mere 2 km away from Sorrento and within minutes of Regina Giovanna, the area's most beautiful beach. 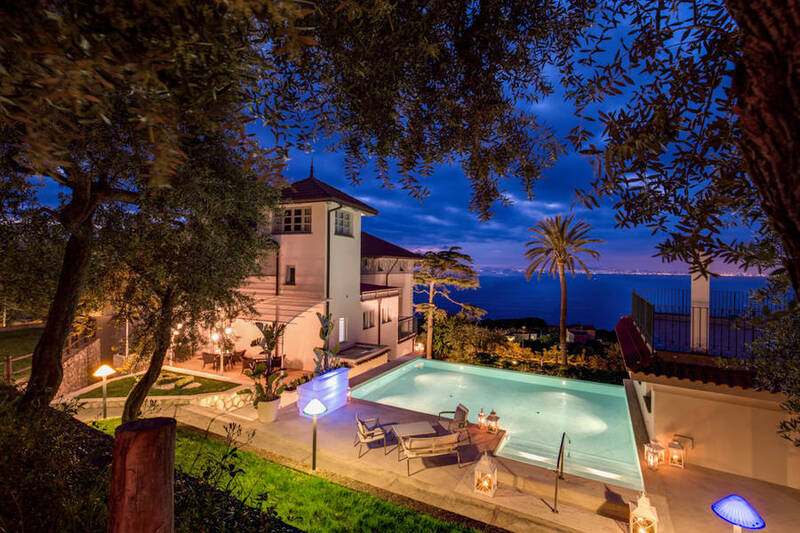 It will take you just over 30 minutes to drive to Positano, Ravello and Amalfi. 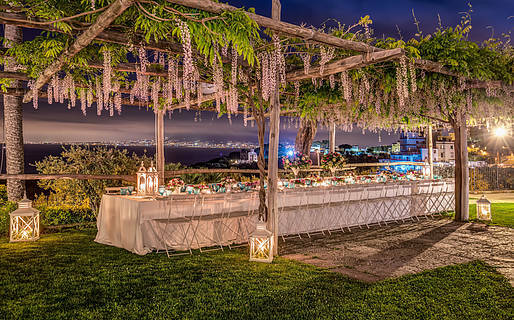 From the nearby port of Sorrento, ferries regularly sail to the islands of Capri, Ischia and Procida. 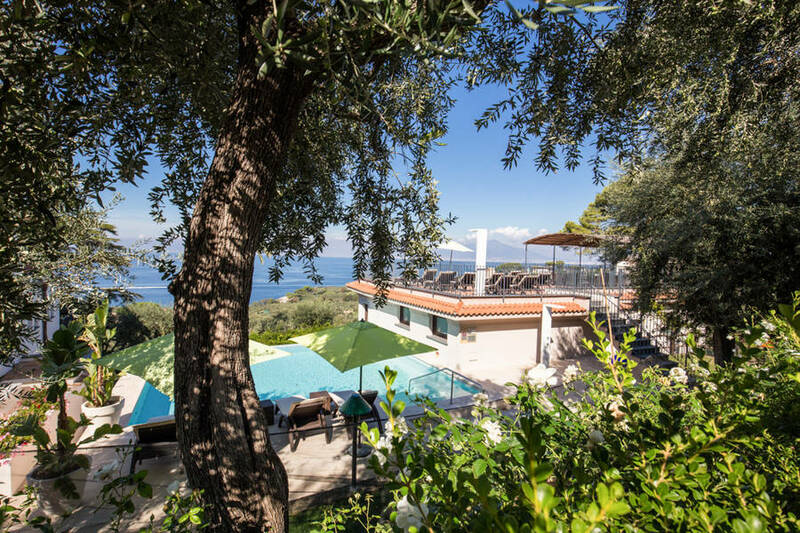 Private or group excursions are available on request.